The Melbourne Convention and Exhibition Centre (MCEC) is looking into the future with its new online portal. myMCEC aims to streamline, simplify and enhance the overall customer experience by creating a centralised location for all event documentation, which can be accessed at any time, on any device. More particularly, myMCEC allows customers to review and upload important documents tailored to their event, view tasks requiring completion and receive email reminders, allocate tasks to other team members, see key MCEC contacts and make payments securely. 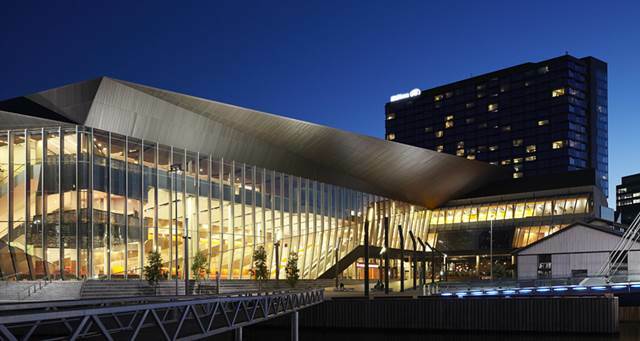 Developed by Ungerboeck, myMCEC is unique in its kind in the meetings and events space and is accessible from the recently launched MCEC website. MCEC’s Director of Customer Experience & Optimisation, Anne Jamieson, said myMCEC demonstrates the venue’s ongoing commitment to innovation and customer-centricity. The portal was rolled out to a number of customers in December 2017, ahead of its February launch, and is already enhancing the overall customer experience.